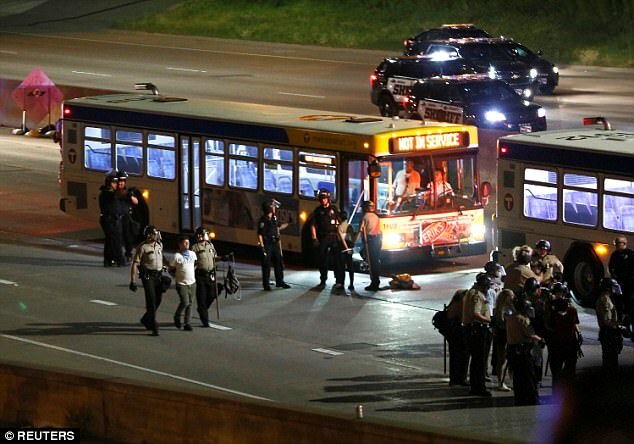 Eighteen people were arrested after peaceful protests erupted in St Paul in response to a Minnesota police officer’s acquittal in the shooting death of black cafeteria worker Philando Castile. 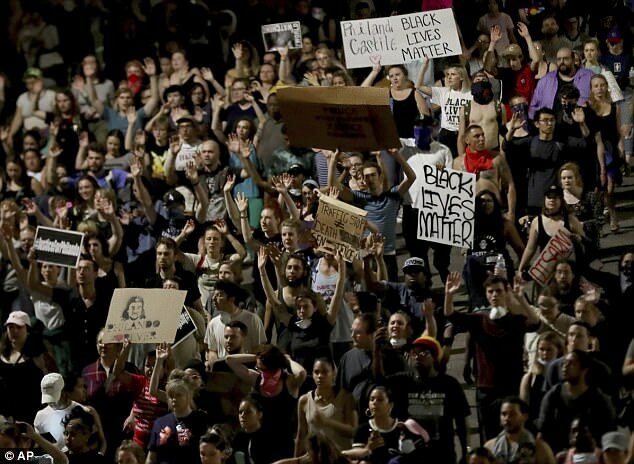 Carrying signs that read ‘Justice not served for Philando’, protesters streamed onto Interstate 94 on Friday, splitting off from a group that started off at the state Capitol. 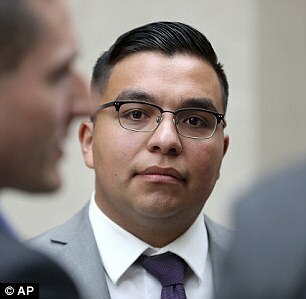 Their outrage followed the verdict that cleared St Anthony police officer Jeronimo Yanez, 29, of manslaughter after he shot dead 32-year-old Castile during aJuly 6, 2016, traffic stop. 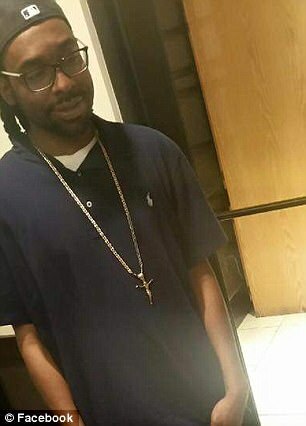 Castile informed the police officer he was carrying a gun just moments before he was shot. 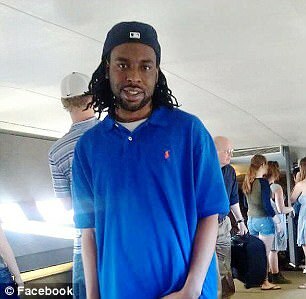 The officer said he feared for his life, testifying that Castile was ignoring his commands not to pull out the gun. 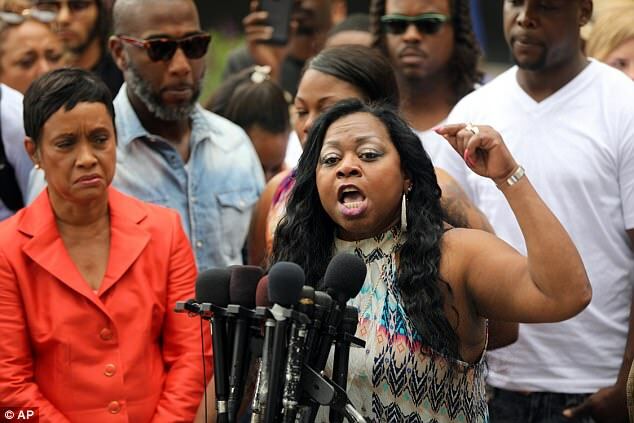 The verdict was announced on Friday, nearly a year after Castile’s girlfriend Diamond Reynold, posted a shocking Facebook live video showing the 32-year-old slumped over in the driver’s seat with blood seeping through his shirt. 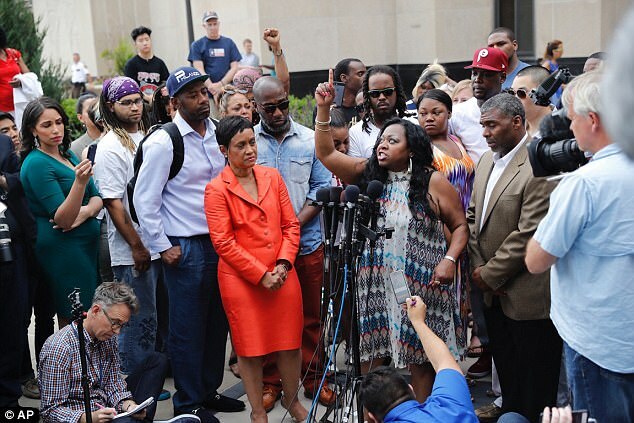 Castile’s mother said: ‘I’m mad as hell right now. My son loved this city, and this city killed my son. 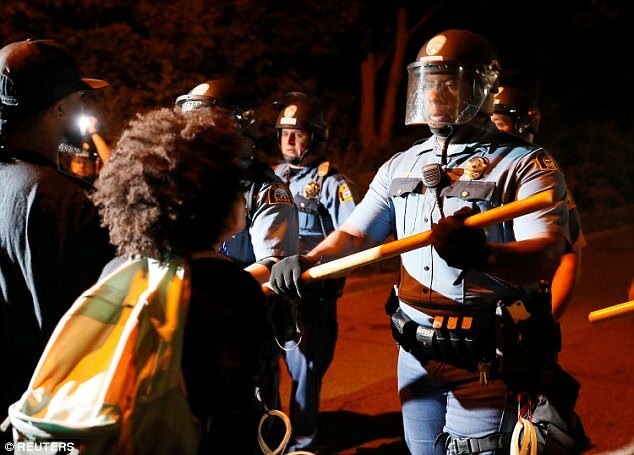 ‘The system continues to fail black people, and it will continue to fail you all. 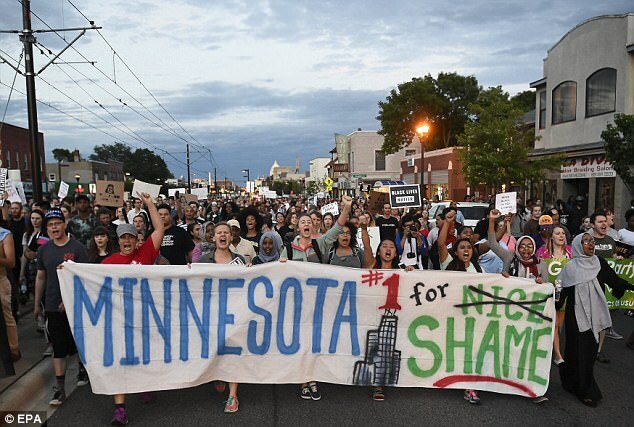 Thousands of people gathered Friday evening at the nearby state Capitol to protest the verdict, and began a march that organizers said was headed for the St. Paul Cathedral. 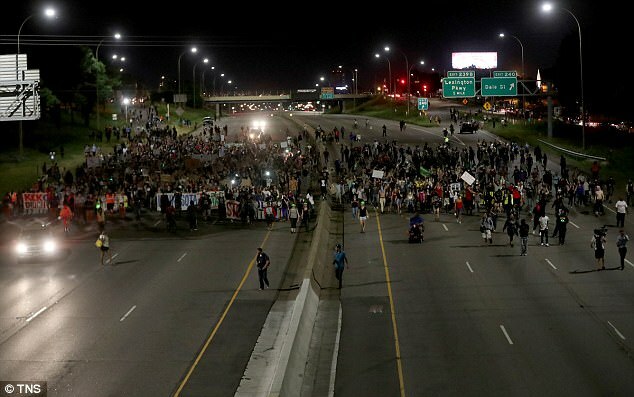 Minnesota State Police said 18 people were arrested around 12.30am after they did not comply with orders to disperse. 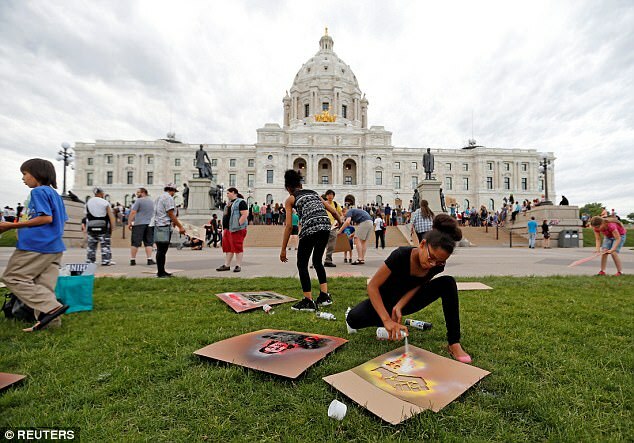 By 1.30am on Saturday, a few dozen remaining protesters gathered in front of the governor’s mansion, where many protests were staged last year in the wake of Castile’s death. 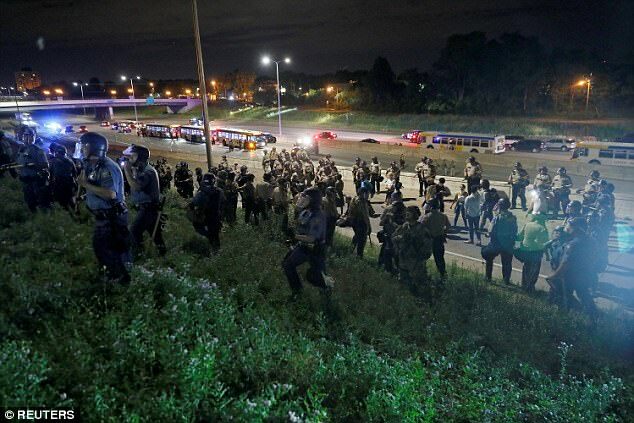 A reporter for Pioneer Press said members of the remaining crowd were simply talking, and playing the harmonica and banjo. 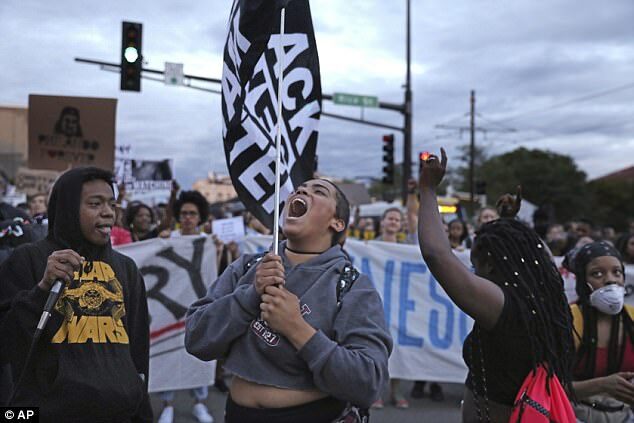 Yanez was charged with manslaughter in November after Castile pulled over for a broken tailight. 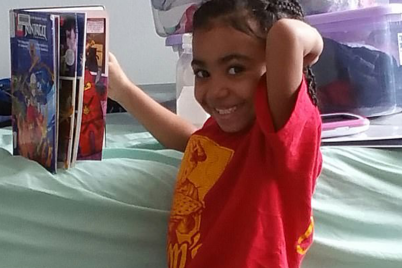 Reynolds was in the passenger seat, while her four-year-old daughter sat in the backseat. Yanez shot Castile seven times just seconds after Castile informed him he was carrying a gun and reached into his glove compartment. 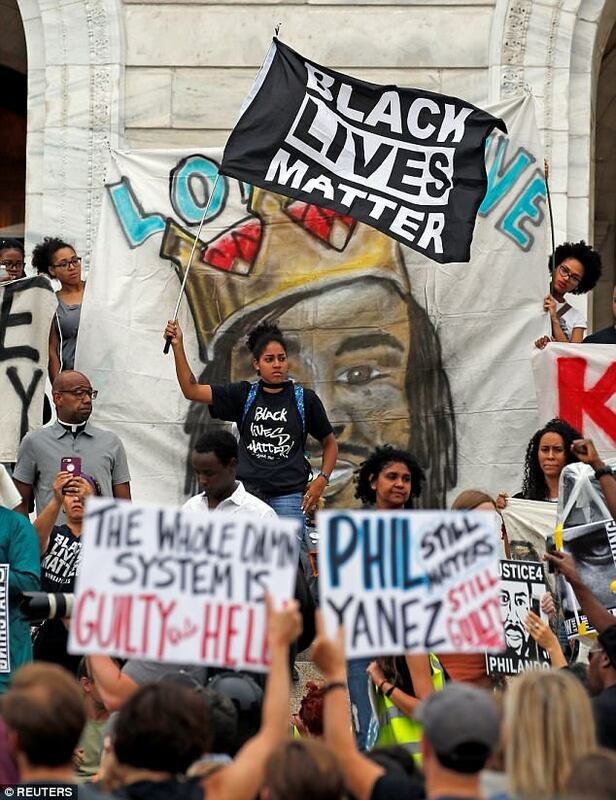 His girlfriend said he was just getting his driver’s license, but Yanez claimed he he feared for his life and testified that Castile ignored his commands not to pull out the gun. 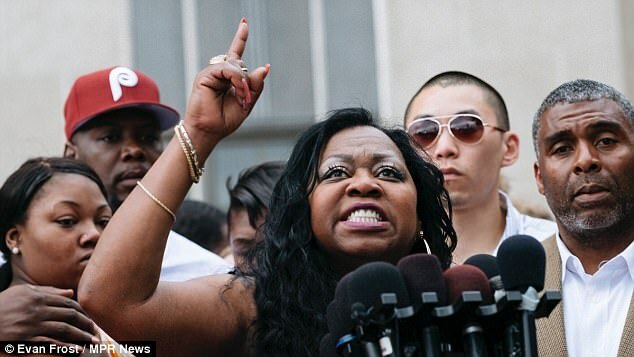 Speaking directly about Yanez, Valerie said: ‘He shot into a car with no regard to human life. And that’s OK. Thank you Minnesota. 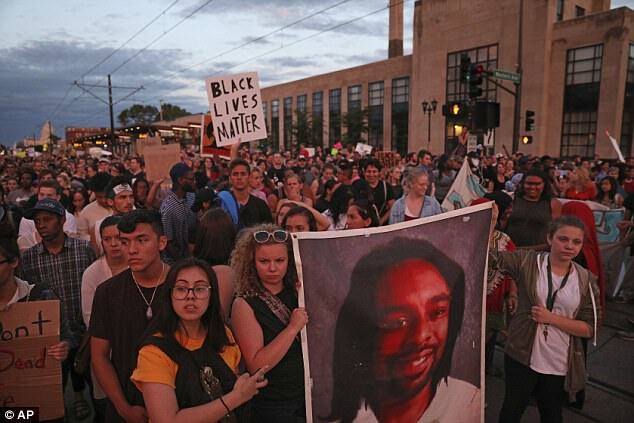 After the verdict was announced, the city of Minnesota said Officer Yanez was being relieved of his duties. The city of St. Anthony says it concluded the public ‘will be best served’ if Officer Yanez no longer works for the city. The statement says the city plans to offer Yanez a ‘voluntary separation’ so he can find another job. 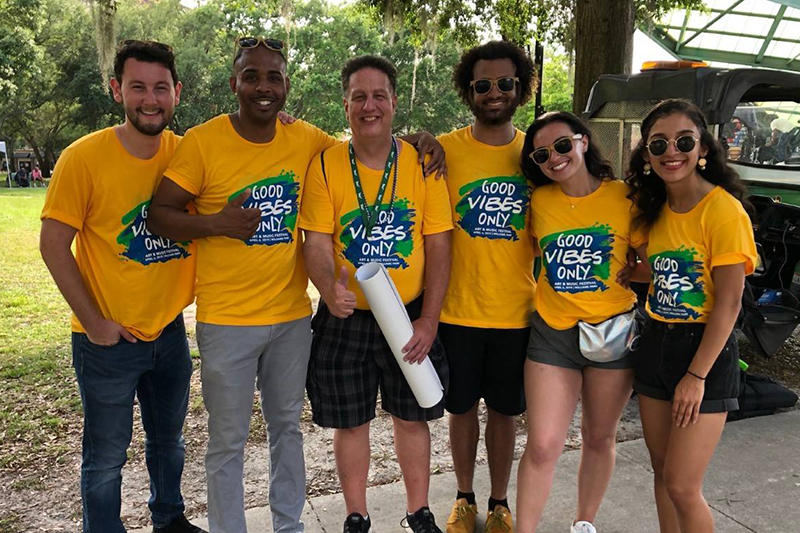 The 12-member jury, 10 of whom were white, deliberated for five days before announcing their decision on Friday afternoon. On Wednesday they told the judge they were deadlocked, and he sent them back to continue deliberation. A member of the jury called deliberations ‘very, very hard’ and says he thinks the panel delivered the right verdict. Dennis Ploussard says the jury was split 10-2 early this week in favor of acquittal for Officer Yanez. Ploussard says jurors spent a lot of time dissecting the ‘culpable negligence’ requirement for conviction. He says the last two holdouts eventually agreed on acquittal. Reynolds released a statement after the verdict was announced, according toKSTP. 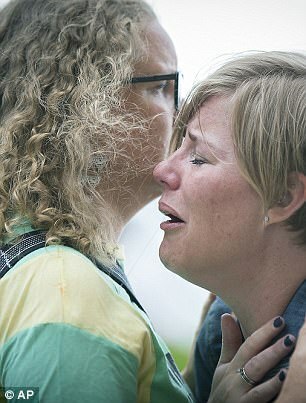 She said: ‘I am incredibly disappointed with the jury’s verdict. 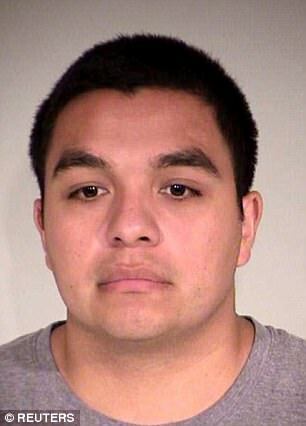 My boyfriend, Philando Castile, was pulled over because, per Officer Yanez, he had a wide nose and looked like a suspect. 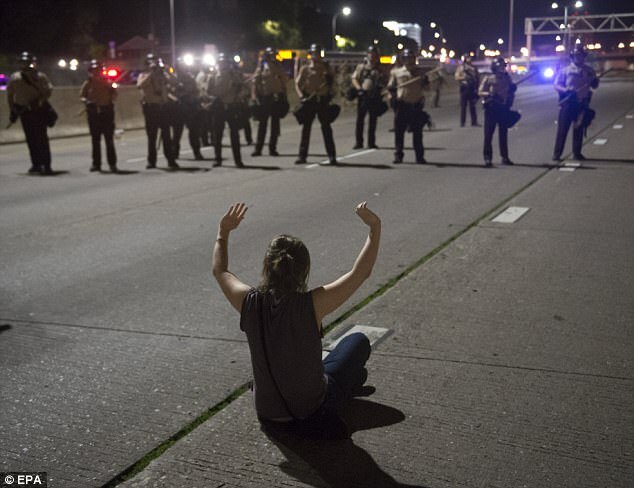 ‘He did nothing but comply with Officer YANEZ’s (sic) instructions to get his driver’s license. 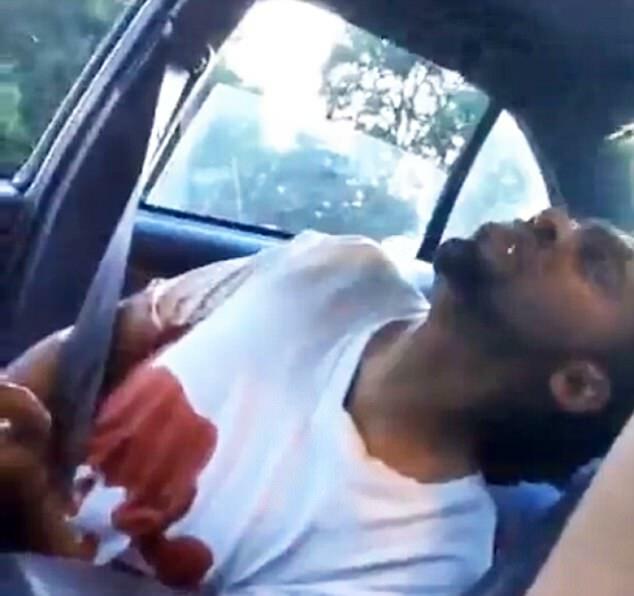 He was seatbelted and doing as he was told, when he was shot by Officer YANEZ who fired 7 shots into the vehicle where my 4 y/o daughter and I also sat. 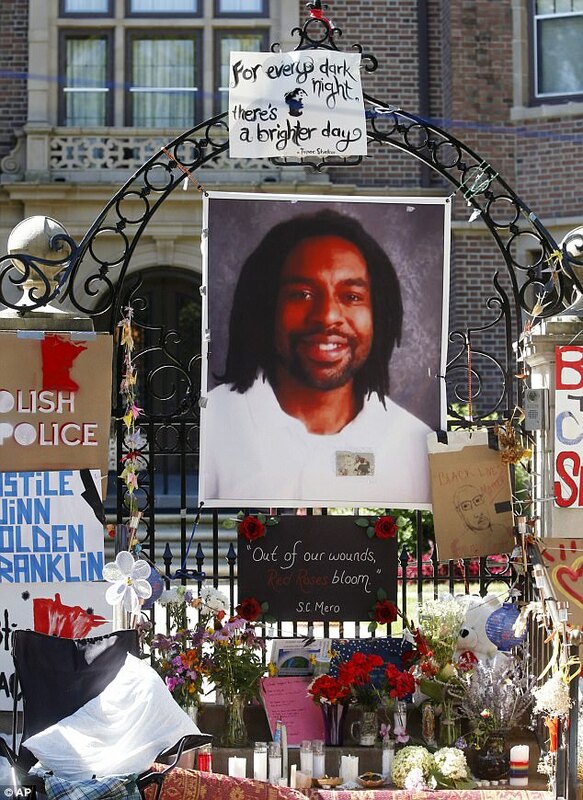 St Paul public schools released a statement to say they will continue to mourn Castile’s loss, and counselors will be available for students if needed. 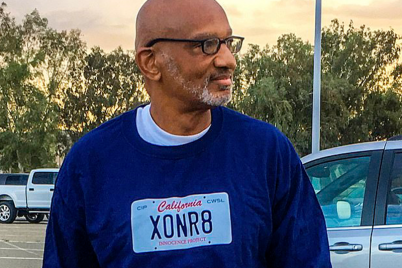 Sherrilyn Ifill, of the NAACP Legal Defense Fund, said: ‘This incident seemed so egregious and avoidable that we hoped that this time, it might be different — that this time, justice might be served. 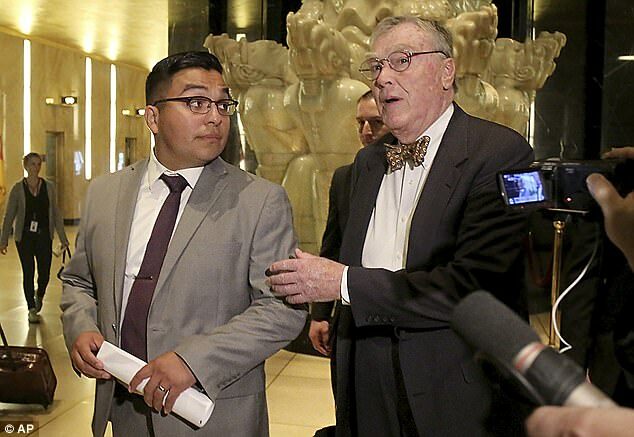 Had he been convicted, Yanez would have faced 10 years in prison, though sentencing guidelines suggest around four years would have been more likely. He also faced two lesser counts of endangering Reynolds and her daughter for firing his gun into the car near them. He was acquitted on all counts.